Hotel Program Manager provides fast, accurate authorization of negotiated rates securely through Sabre. The multilingual graphical user interface (GUI) is simple-to-use with detailed hotel program tracking and a 15-month history that allows you to efficiently manage both your own hotel programs and those negotiated by your corporate accounts. It’s simple to manage the creation, authorization, viewership, and distribution of available programs all within Sabre. You will be notified as steps in the authorization process are completed and when contract expiration dates are approaching. Hotel Program Manager brings you more automation and efficiency along with increased revenue and reduced hotel leakage. 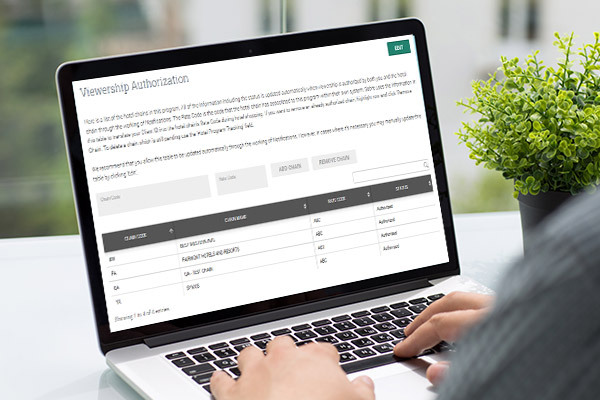 Automated authorization of hotel program viewership and hotel chain participation tracking enables you to set up and book negotiated rates quicker — reducing the time lost between approving rates and making them available in the Sabre Travel Marketplace. Sabre publishes a list of recommended hotel program names with associated Client ID Codes. Simply click on a program to get started, and the system will walk you through the process without any new formats to learn. Hotel Program Manager brings you increased efficiency and revenue with enhanced rate viewership management on preferred hotels at negotiated rates. Vastly reduce the latency between conclusion of the Hotel RFP process and getting a negotiated hotel rate accurately and securely open for sale through Sabre.